On Scene: 4200 PRO-Warrington BOOTS Sale! These "hybrid-bunker boots" are a popular style boot and this week we're bringing you a great sale on them! The 4200 PRO-Warrington boots are heavy duty, yet lightweight. Sounds like an oxymoron? Maybe. But indeed they're just a modern technology, allowing comfort, at only 5 pounds per pair. Available in sizes 5-15, with all different width options, we're sure to have the right size and fit for you! Shop our Pro Warrington Model 4002 Boot Sale today! 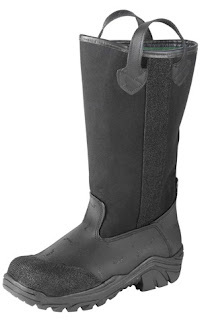 *boots on sale from $317.99 to $302.99. A $15 savings!